Saturday, February 2, 2019 is Groundhog Day (also known as Candlemas Day), a fun holiday that has its roots in the Pennsylvania “Dutch” (German) tradition. 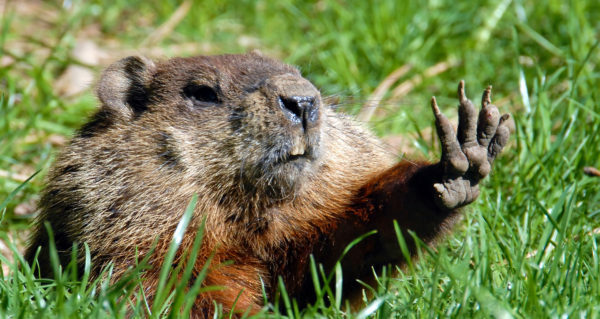 According to folklore, if it is cloudy when the groundhog emerges from its burrow on this day (no shadow) then spring will come early; if it is sunny, the groundhog will see its shadow and retreat back into its burrow, and winter will persist for the remaining six weeks. Everyone will no doubt be waiting with bated breath to see what Punxsutawney Phil, North America’s most famous groundhog from Pennsylvania, predicts for the remainder of the winter. Punxsutawney Phil is the focal point of the oldest and largest annual Groundhog Day celebration, held in Punxsutawney, Pennsylvania, every year since 1886. Members of Phil’s “Inner Circle” claim that he is now 130 years old, thanks to a magical life-extending serum they feed him each year—and that his predictions are 100 percent accurate. of what Phil or any of the other forecasters do tomorrow, none of us can change what is going to come in the next few weeks. So, bundle up and stay warm!